The process involves the completion of a series of plant audits and laboratory data analysis. An internationally-recognized certificate is granted to the manufacturer as proof that conditions and/or requirements for the production of gluten-free products have been met. Source-focused: Food that consists of (or is made) only from 1 or more ingredients which DO NOT contain wheat (Triticum aestivum), ancient wheats (e.g. einkorn, spelt, emmer or farro, khorasan or Kamut®), durum wheat (Triticum durum), rye, oats, barley, spelt or a crossbred hybrid (e.g. triticale); and the gluten level does not exceed 20 mg per kg of product (based on the food as sold or distributed to the consumer). Process-focused: Food that consists of (or is made) only from 1 or more ingredients which DO NOT contain ANY of the cereal sources mentioned above and which has been specially processed to remove gluten, and the gluten level does not exceed 20 mg per kg of product (based on the food as sold or distributed to the consumer). 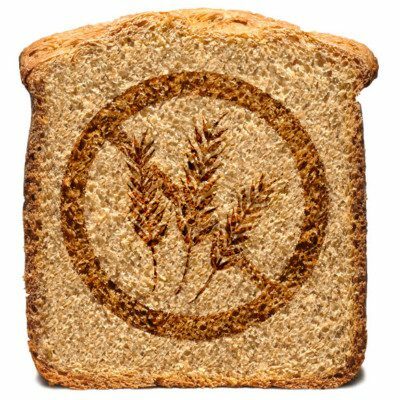 Completion of an application form with a gluten-free certifying agency, providing details about all products and facilities considered for certification. Conducting a gap audit in preparation for an on-site audit. On-site plant inspection conducted by the certifying agency at the manufacturer’s expense. Correction of any issues and non-conformities identified during the audit. Meeting all requirements established and obtention of the permission to use certification logo or seal on label/packaging. Maintaining the integrity of the certification by scheduling an annual facility audit and submitting gluten analysis results as agreed with the agency (this for renewal purposes). Beverly, R.L. “Cereals and Derived Products.” Encyclopedia of Food Safety, Volume 3 Foods, Materials, Technologies and Risks, Academic Press, Elsevier, Inc., 2014, pp. 309–314. De Rovira, D. “C.” Dictionary of Flavors, 3rd edition, John Wiley & Sons Ltd, 2017, p. 56. Crevel, R., and Cochrane, S. “Allergens.” Food Safety Management. A Practical Guide for the Food Industry, Academic Press, Elsevier, Inc., 2014, pp. 59–81. Institute of Food Science and Technology. “Food Toxins, Allergens and Risk Assessment.” Food & Drink – Good Manufacturing Practice. A Guide to its Responsible Management, 7th edition, John Wiley & Sons Ltd (UK), 2018, pp. 63–73. Casper, J.L., and Atwell, W.A. “Gluten-Free Best Practices, Regulations, and Labeling.” Gluten-Free Baked Products, Cereals & Grains Association, AACC International, Inc., 2014, pp. 77–84.